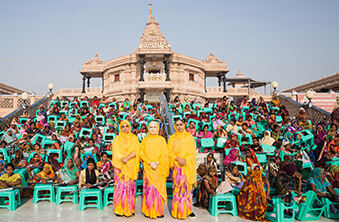 For over 30 years, Jagadguru Kripalu Parishat has continued in this important endeavor of charitable giving. 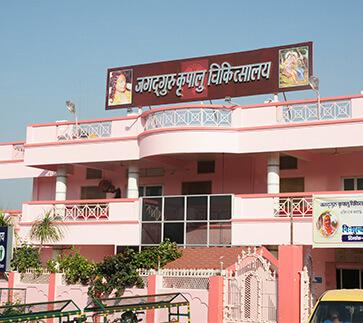 These efforts, founded and inspired by Jagadguruttam Shri Kripalu Ji Maharaj, have led to three main arms of Philanthropy. 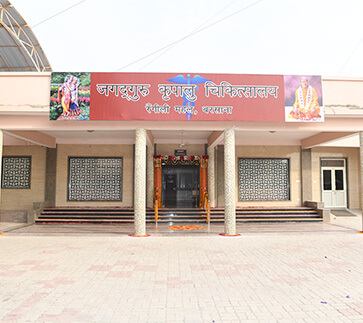 The Institution, JKPE, situated in Kunda, UP, India, was acquired by Jagadguru Kripalu Higher Education Society, which runs under the divine guidance of Jagadguru Shri Kripalu Ji Maharaj and the President, Sushri Dr. Vishakha Tripathi Ji. 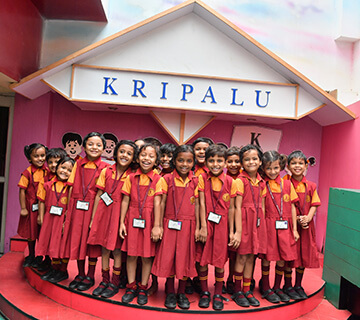 Since 2005, it has transformed into a charitable Institution which provides 100% Free Education to students from Kindergarten through to Graduate and Postgraduate levels. The Institution gives hope to thousands of underprivileged girls in rural India for a bigger and brighter future. Almost 3.5 million lives helped. 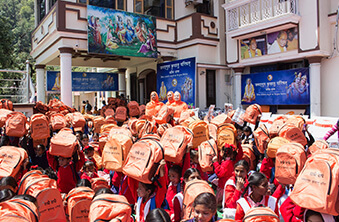 Jagadguru Kripalu Parishat gives to hundreds of thousands of underprivileged individuals the valuable necessities that lessens the suffering faced by them. Warm jackets, blankets, utensils, toilets etc are provided amongst many other things on a regular basis. 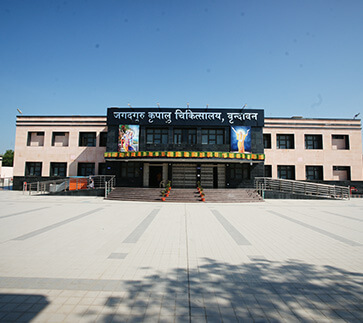 Keep in touch with what JKP is doing to help those in need by following us at Facebook.com/jkpindia today! 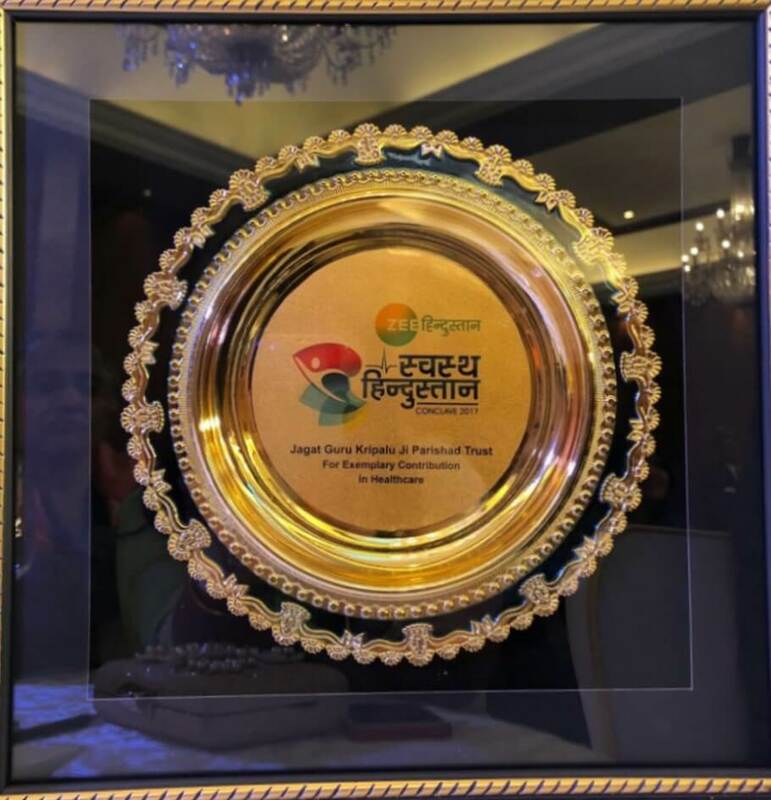 Dec 16, 2017: Jagadguru Kripalu Parishat received the prestigious “Swasth Hindustan” award for providing excellent and free health care services to the society through Jagadguru Kripalu Chikitsalaya hospitals. On behalf of the President of Jagadguru Kripalu Parishat, Sushree Dr. Vishakha Tripathi, Mr. Ram Puri received the award from Union Health Minister JP Nadda Ji in New Delhi at the Swasth Hindustan Conclave 2017 organized by Zee Hindustan Television Channel on 16th December 2017. 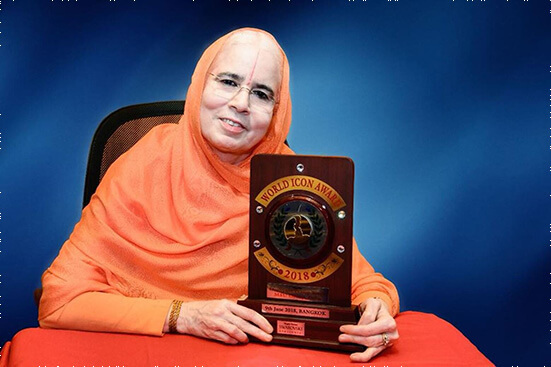 July 29th, Mumbai: President of Jagadguru Kripalu Parishat (JKP), Sushri Dr Vishakha Tripathi Ji, was honoured today with the ‘Indian Icon Award 2016’ for her exemplary work in providing free education to young girls from the primary to postgraduate level. 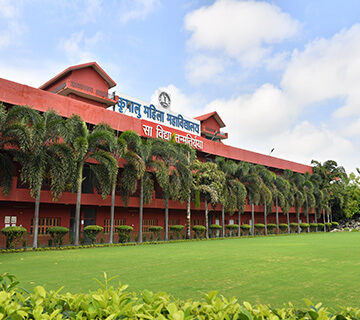 At the same time, Dr Tripathi was also praised for her philanthropic work in running 3 free hospitals in rural parts of UP each which have observed 300,000 patient visits each year. The prestigious award was selectively given to notable achievers, fifty in all, who have performed extraordinary services in a selfless and tireless manner. The Indian Icon Awards’ is given by ‘Time Indian News’ to recognise and highlight individual and institutional achievements in influencing lives. Apart from achievers in India, awardees also include people of Indian origin from Singapore, Thailand and Dubai. 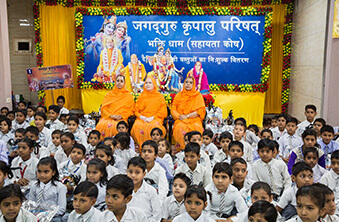 JKP Education, the educational wing of JKP, provides free education to over 4000 girls at Kripalu Balika Primary School, Kripalu Balika Intermediate College, and Kripalu Mahila Mahavidyalay located in Kunda, a small town in Pratapgarh district of Uttar Pradesh where girls lack opportunities and financial resources to study. To facilitate their education, it also provides free bicycles to students who live far from the school, free uniforms, school bags and related educational items. 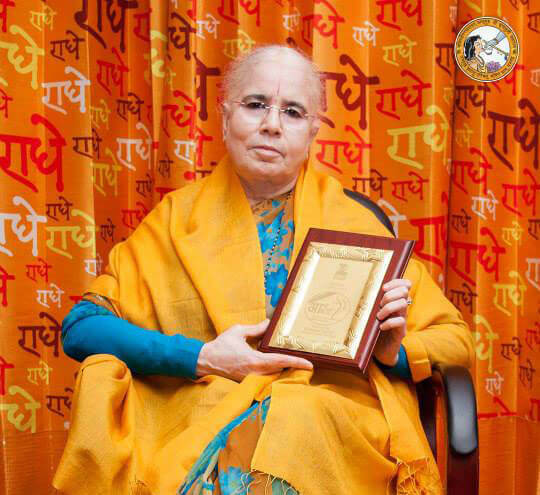 On August 10, 2015, JKP Education President Dr. Vishakha Tripathi Ji was honoured for her constant efforts in empowering women through her free, charitable schools and college. Zee Sangam recognised her hard work and dedication and presented her with the Zee Sangam Award.​ Congratulations to our President!